I would love to find out where my Hawson family came from before Gregory Hawson appears in Devon in 1788. The earliest trace I have of him is at his marriage in Dartmouth in 1788. Probably connected with this family, perhaps Gregory's sister is an Eliza Hawson, born about 1755 and buried 9th January 1832 at Arnos Vale, Bristol, along with other members of the family descended from Rev Gregory Hawson. Most other Hawson families seem to come from Nottinghamshire or Yorkshire. Gregory Hawson, a Mariner, married on the 17th January 1788 at St Petrox, Dartmouth to Mary Tapley. She had been baptised 16th March 1763 at St Petrox, Dartmouth, the daughter of James Tapley and Mary Bassey [who had married on the 22nd February 1759 at St Petrox]. Gregory was apparently captured, along with his ship by the French, and released in about 1801. He later became an Officer in the Albert, a merchant vessel trying to keep the English Channel safe from Privateers. A list of boat Pilots for Dartmouth in 1812 includes the name of Gregory HAWSON. 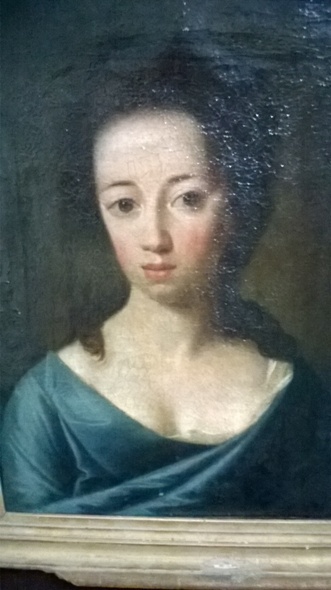 According to a Hawson family history booklet written by Mary Carrick, there was a painting done of Mary Tapley in 1779 by Sir Joshua Reynolds. The painting is now owned by a descendant of Thomas Bond HAWSON. Gregory HAWSON was born in about 1761. He probably had an elder sister Elizabeth Hawson who was born in about 1755 [ died 9 Jan 1832, buried in Bristol with some of Gregory Hawson's eldest son's family]. Gregory was a Mariner, Officer of a Revenue Cutter "Albert". Gregory Hawson was buried at St Clement Townstall, Dartmouth, Devon on the 27th August 1835 aged 74. He had married to Mary TAPLEY on the 17th January 1788 at St Petrox, Dartmouth Devon by licence. Both Gregory Hawson & Mary Tapley signed and the witnesses were H. Phillips & Robt. Ford. Mary Tapley was baptised at St Petrox, Dartmouth, Devon on the 16th March 1763, the daughter of James Tapley and Mary BASEY [who married at St Petrox, Dartmouth, Devon 22 Feb 1759]. Mary [nee Tapley] Hawson was buried at St Clement Townstall, Dartmouth, Devon on 22 May 1825 aged 62. An Elizabeth Hawson of St Saviour was buried at St Petrox on the 28th September 1849 aged 74 [so born about 1775] but her connection with the other Hawsons is not know. 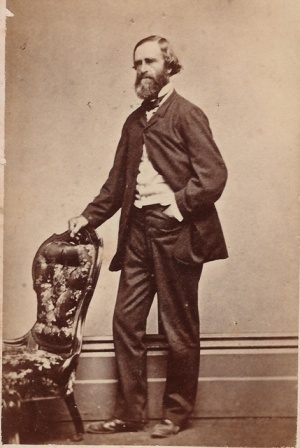 d. March 1865 at Clifton, Bristol of Bronchitis. Gregory apparently spent several years of his childhood living with his maternal Tapley grandparents after his father Gregory Hawson & his ship was captured by a French Privateer. When he was about twelve he returned home, as did his father, Later, Gregory was apprenticed to a an Uncle in Portsmouth as a shipbuilder [unfortunately I don't know which side of the family this Uncle belonged to...]. According to " Authentic Records .....the Church now meeting in George St & Mutley Chapels [Plymouth] Gregory Hawson joined their congregation in the Summer of 1810 & later he became a Baptist Minister at Staines, being appointed on the 13th July 1825 and resigning his ministry there on the 9th January 1860. He later moved to Clifton, Bristol. He married Elizabeth Selley, daughter of William Selley of Plymouth [from Dissenter baptism records in London] and they had 6 known children; 1.Mary Anne Hawson born about 1811at Portsea & died 22 Nov 1870. She was a school assistant. 2. 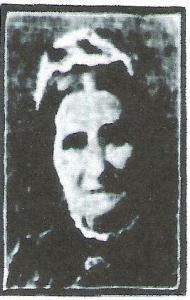 Eliza Hawson born abt 1815 at Portsea & was a School Principal, was alive in 1881 3. John G Hawson b. 1817 at Portsea, Hampshire & died 10 Dec 1872 at Clifton, Bristol. He was a woolen Draper & a Postmaster. He married Eliza J Iles at Swindon & they had eight children. 4. 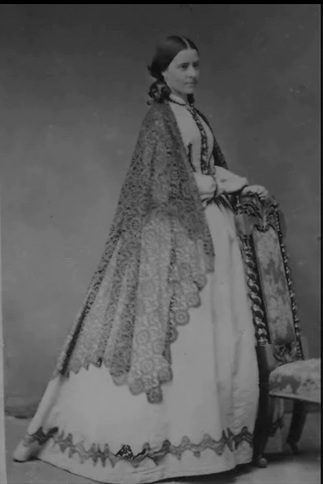 Elizabeth Hawson born abt 1820 & she was a private teacher. 5. 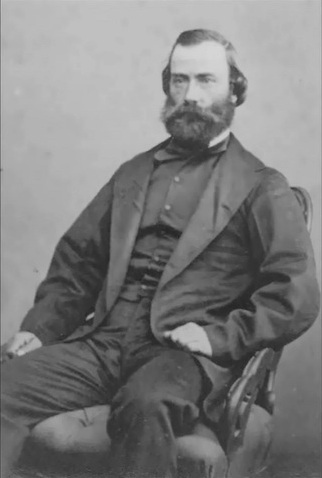 Charles Gregory Hawson born 10 September 1828 at Staines, Middlesex. Initially, he was a linen draper, but Charles also became a Baptist Minister and was appointed to the Church at Woolwich, Kent in Jan 1856. He married on the 22 March 1859 at the Queen Street Chapel, Woolwich to Mary W Bayley, sister to Mr. J B Bayley, publisher of Otley. 6. Gregory Wilberforce Hawson born 22 December 1832 and died 14 July 1863 Bombay, India. Gregory married on the 4th November 1862 at St Nicholas, Brighton, Sussex to Emma Martha Pints, daughter of William Pints & they had a daughter Isabelle Sandebre Hawson, born 26 April 1864 at Middle Colaba, Bombay, India. Emma married again on the 10th of January at West Hackney Church, London to Edward Lewis, formerly of Bombay. d. 25 July 1849 at Port Lincoln, South Australia, from injuries sustained from an overturned cart. He and his wife are buried in plots 5-6 at the Pioneer Cemetery, Port Lincoln. Of Dartmouth, St John Newfoundland, & Towalla, Port Lincoln. Married Elizabeth Emlyn Cowell and had issue, see below. 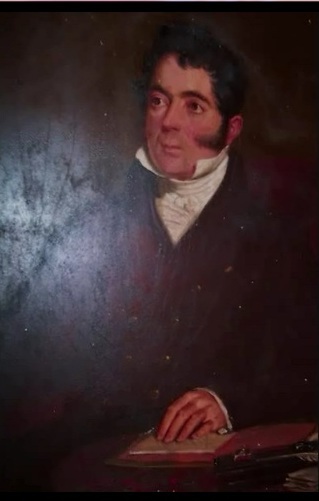 His full name may be Henry Francis HAWSON as this is written on his portrait, painted at 12 Benton St, Liverpool, presumably before 1818/1819 when the family moved to Newfoundland. b. Baptised 23 Jan 1793 at St Petrox, Dartmouth, Devon. d. Was alive in 1738 when her 5th child was born. Married 25 July 1821 at St Petrox, Dartmouth, Devon to Richard Viggers and they had five known children. d. 9 Nov 1836 and is buried 13 Nov 1836 at St Saviours, Dartmouth, Devon. She married on 28th September 1817 at St Petrox, Dartmouth, Devon to Edward Whitehair Jago and they had five children. Eliza certified the birth of her sister Frances's son in 1829. Her name is often given in trees as Elizabeth Daur Hawson but this is a mistranscription of the abbreviated daughter in the parish register. d. death was registered in the June 1/4 of 1857 at Stepney. Frustratingly, I can't find him in either the 1841 or 1851 Census but this may be because he was in the Merchant Navy. FindMyPast has a record of James T. Hawson aged 56 on a voyage in 1853-5. Had an illegitimate son named Alfred Arthur Hawson, born in London on the 26th June 1827 at the house of Thomas Cooper. The birth was recorded in the dissenters register 9th October 1829. The entry was certified by Martha Cooper and Eliza Jago, aunt of the baby. The name of the father was not recorded. An Alfred Arthur Perry Hawson married on the 1st September 1852 at Dartmouth Devon to a Sarah Fogwill. According to a tree at Genes Reunited they had a daughter who was registered at Totnes in 1856 as Alice Anna Louisa PERRY, rather Hawson. This may indicate that Alfred's father was a PERRY. Frances Hawson married on 8th September 1840 at St Charles the Martyr, Plymouth, Devon to Edward Whitehair Jago, the widowed husband of her sister Eliza [who had died in 1836. Marriage to the widow or widower of a sibling was not in fact legal at this time.]. Unfortunately, I have so far been unable to locate the family in the 1841 Census. Edward Whitehair Jago died on 2nd January 1851 at Totnes, Devon so in the 1851 Census at Charles St, Townstall, Totnes, Devon is Frances, now widowed & two of her step-daughters, Ann T Jago a dressmaker and Harriet Jago a dress maker. By the 1861 Census Frances [describing herself as the mother of the household head, presumably Alfred Arthur Hawson/Perry who I could not locate] is still living at Townstall. 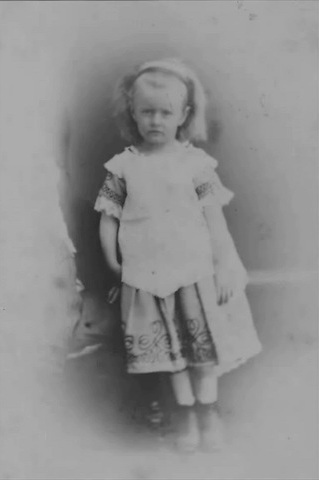 With her is grandaughter Alice A L Perry aged 4, described as "daughter" but this is to the absent head. d. Buried 17 March 1807 at St Clement Townstall, Dartmouth, Devon. Nothing is known of Henry Hawson's schooling, but he must have received a good education. He was first a clerk & then a partner at a Mercantile House in Dartmouth. Henry Hawson married by Licence on the 9th January 1814 at St Saviour, Dartmouth, Devon to Elizabeth Emlyn Cowell [born 4th May 1793 at Tormoham, Devon and baptised there on the 28th May 1793 the daughter of Eward COWELL and Elizabeth TAPLEY who had married 1st June 1792 at Tormoham, Devon., Elizabeth Emlyn Hawson died 29 September 1875 at Polda, South Australia]. They both signed the register. The witnesses were her father Edward Cowell, Holdsworth Hunt and John Adams. In 1828 a 131 ton Schooner named Saint Patrick was registered to Patrick Power, Mariner of St John's and Henry Hawson, shipping company of St John's. Unfortunately Patrick Power died in 1830 [Henry Hawson was the executor of his will] and the Schooner was sold to William Siliker and William Chappell. The ruins of the Towalla homestead. d. 20 December 1882 Payenham Rd, Norwood, South Australia & is buried at the North Road Cemetery. Henry Cowell Hawson was the Captain of the family Brigantine, Abeona. He married on the 5th September at St David's Cathedral, Hobart, Tasmania to Frances Maria Brodribb . 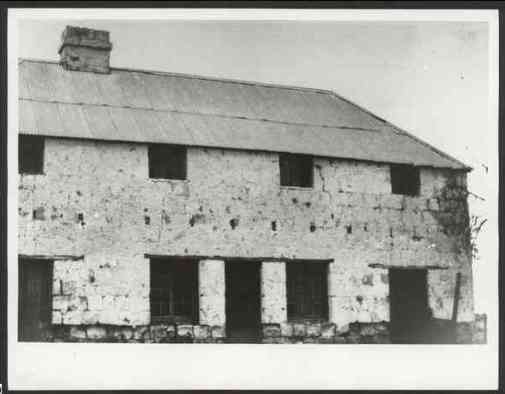 Tragically, two of Henry's brothers were left to mind the Hawson property in Port Lincoln while their parents attended the wedding & they youngest of the brothers, Francis Tapley Hawson was speared by aboriginals, dying three days later. Henry Cowell & Francis Maria had 11 children, to be detailed on their own page, coming soon! d. 8 October 1850 of inflammation of the lungs at Hobart, Tasmania. He is buried at the Wesleyan burial ground, Hill Street, Hobart. His remains were re-interred at Cornelian bay after the burial grounds were sold. Edward left Port Lincoln and apparently never returned after the death of his younger brother Francis. He became a storekeeper at the Cascade Female Factory & lived in Cascade Rd. He married on the 16th September 1843 to Ellen/Eleanor Highnett. They had five children, but only the eldest two survived to adulthood. 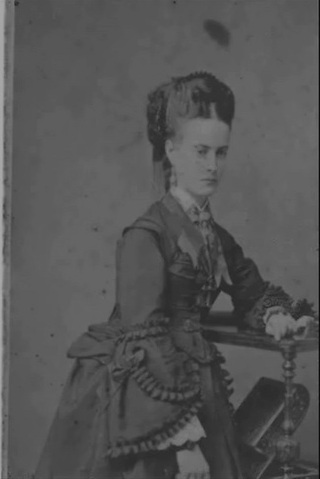 Ellen remarried after Edward's death to George Strutt on the 8th Jan 1859 at Hobart. She died in 1901 at Hobart. d. 1 September 1907 at Lake Wangary, Port Lincoln District, South Australia. 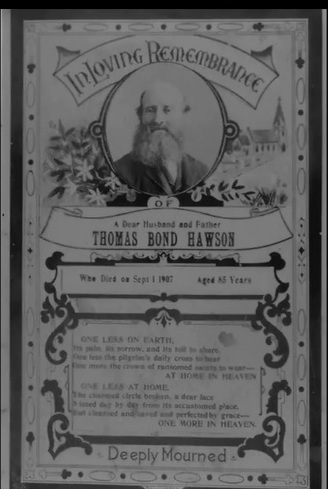 Thomas Bond was apparently the name of one of Henry's friends and fellow partner at the Mercantile House in Newfoundland & was a name to be used many more times by the Hawson family. 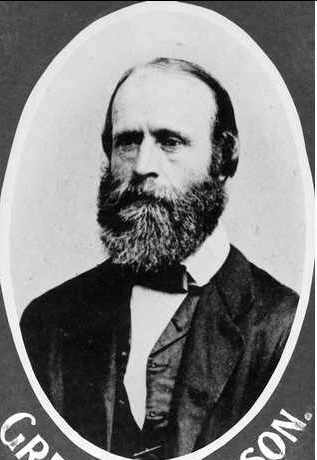 Thomas married firstly on 3 September 1845 at the residence of G White, Muranyana, Port Lincoln to Ellen [nee Dutton] White. Poor Ellen died on 28 October 1853 shortly after the birth of her fourth child [who survived and lived to be 80]. She was buried in the Pioneer Cemetery at Port Lincoln. Thomas married again on the 6th June 1856 at the Church of St Thomas the Apostle, Port Lincoln to Elizabeth Robinson and they had seven children. This branch of the family lived at Lake Wangary and Polda Station. d. 7 September 1885 at Enfield, South Australia. He is buried at North Road Cemetery. Gregory was a sheep farmer in the Western District. She married first to Charles John Driver on the 16th August 1843 at the Government Residence, Port Lincoln. There were no children & Charles died on the 7th January 1854 at Towalla. 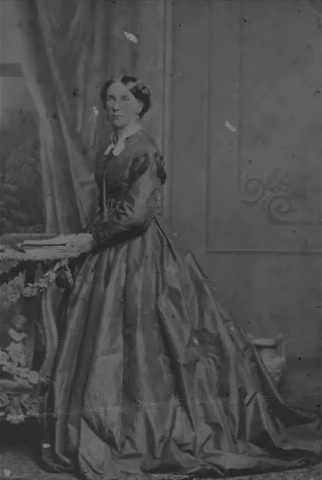 Frances married again on the 29th June 1858 at Trinity Church, Adelaide, South Australia to Samuel Stocks. 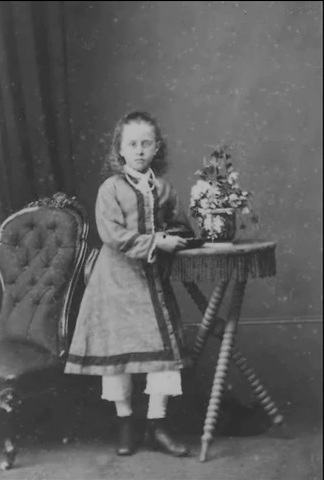 Again, there were no children and Samuel died in 1863.
d. 6 August 1898 at Enfield, South Australia. d. 11 Oct 1840 at Little Swamp after being speared by aboriginals on the 5th October. Originally buried at Trafalgar St but re-interred in 1911 with a memorial. Edward aged 21 and Frank aged 12 were left in charge of the family property while their parents went to Hobart for the wedding of the eldest brother Henry to Frances Maria Brodribb. The boys were out at Little Swamp, staying in a hut and looking after the sheep when Edward rode into town to get more supplies, leaving Frank with a gun and his father's sword.. After he left, aboriginals approached young Frank and asked for meat. [Apparently the local aboriginals had become accustomed to receiving food in return for not hunting the very tempting sheep] He told them that they had run out & that his brother had gone for more. An aboriginal child offered Frank a spear to throw, but when he threw it, the adults threw 2 barbed spears at the lad, fatally wounding him. They were too long for Frank to pull out & when his brother returned 11 hours later it was to find Frank bravely trying to burn the ends of the spears off in the fire. He sawed off the ends of the spears, put his brother on a horse & took him back to the homestead & summoned medical help, but nothing could be done to save the boy and he died 3 days later from "mortification". He was buried at Little Swamp, but later exhumed in the Edwardian era & reburied with a memorial. There is an extraordinary photograph of a group of men, woman and children holding out a box with poor Frank's little skeleton clearly visible. A contemporary account of the spearing appeared in many newspapers, including The Perth Gazette 22 October 1840, quoting Dr. Harvey of Port Lincoln who treated the boy. d. 7 June 1911 Estcourt, Clapham, Mitcham, South Australia, according to a newspaper report, expiring immediately after her cup of tea & buried at North Road Cemetery. d. 30 October 1901 at Enfield, South Australia & buried at North Road Cemetery. d. 28th June 1916 at Towalla, Pulsford Rd, Prospect. 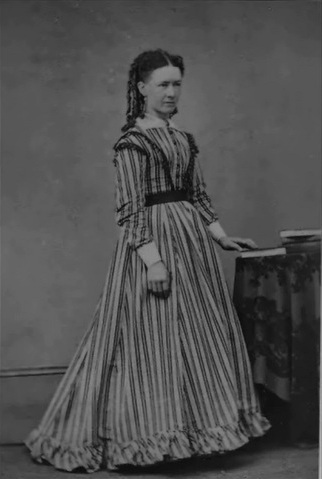 Isabella Hawson married on the 27th February 1860 at St Thomas Church, Flinders District, South Australia to William John Lawrence. d. 29 May 1911 at Estcourt, Clapham, Mitcham, South Australia of pleurisy and pneumonia & was buried at North Road Cemetery. 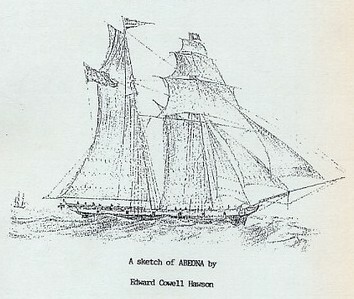 A sketch of the Abeona from the cover of Mary D. Carrick's booklet on the Hawson Family. Unidentified Hawson Family members~Photos from George Barry. Identification soon [I hope]. Sources: "Abeona and the Hawson Family" by Mary D Carrick, personal correspondence with Harry Wooldridge, George Barry, Parish Records, various newspapers accounts, Land Grant Records etc. * The Asiatic Journal 1 September 1837 discusses in some detail the Hawson's journey to Australia, apparently based on a letter written to Mr Simms, the Attorney-General at Newfoundland.